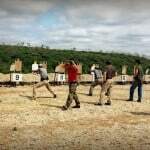 We will be holding our 2 Day TACFLOW SACP™ Combat Pistol Course Friday (at Ben Avery Shooting Range) and Saturday up at the 3 Day Big Sandy Machine Gun Shoot in Northwestern Arizona. 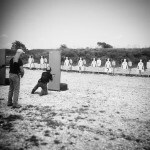 Day 1- Class will be held at the Ben Avery Shooting Facility in Phoenix. Day 2- Students will meet early and drive up to the Big Sandy Shoot. Class will run from 10am to 12pm, break from 12pm (noon) to 2pm to eat and enjoy the daytime events, and resume from 2pm to 5pm with plenty of time to attend the evening festivities at the shoot. 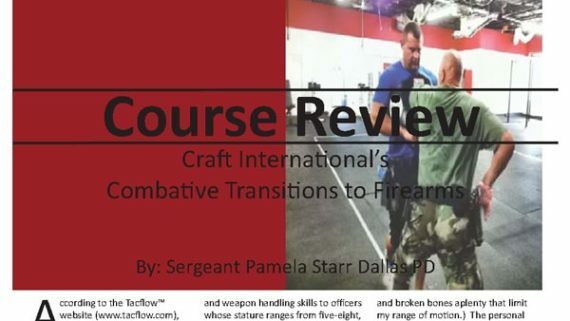 The TACFLOW Structural Alignment Combative Principals (SACP™) Combat Handgun Course is designed to teach alignment of the body to a target while in a fluid combat environment. 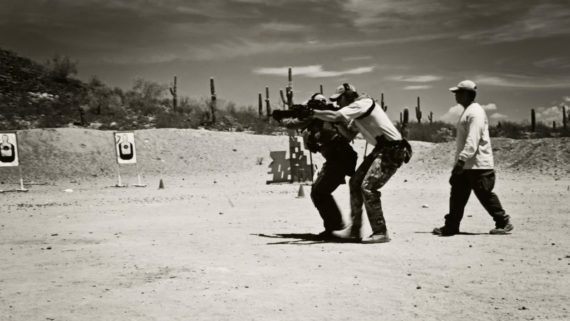 Using the TACFLOW System, the shooters ability to maintain a natural point of aim while in a mobile defensive scenario positively reinforces other key task covered in this course. It includes target identification, pistol theory, combat marksmanship, proper weapons manipulation, and shooting while moving. The intelligence of SACP™ forms a seamless bond between the upper and lower body creating a stable, and mobile weapons platform. SACP™ Combat Handgun is ideal for any skill level of individual looking to take their shooting, and body alignment to the next level of proficiency. Structural Alignment Combative Principles (SACP™) handgun. Rigo Durazo is the founder of Tacflow and the Director of Combatives for Craft International. He has worked in the global security field for over 20 years. He specializes in low signature protection and anti-kidnapping. 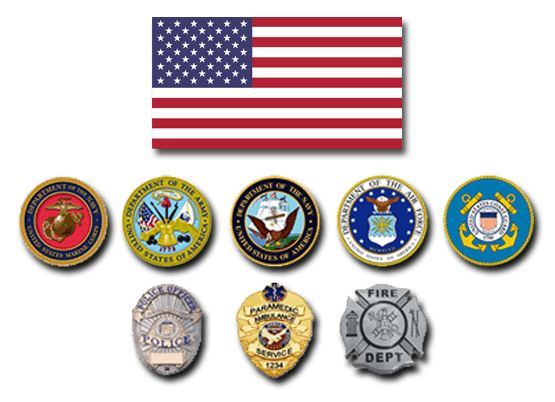 Rigo has spent years translating this information to operators including SWAT officers, Secret Service, DEA, Undercover/ Narcotics officers, Human Trafficking Units, Patrol, and Military personnel. Michael Puente Michael has over 11 years of experience in LE, including a SWAT operator for one of the busiest SWAT teams in the country. He was also the Sniper Team Leader and Active Shooter Instructor for the team and the department. Michael has also been part of dignitary protection operations that included major political figures, multiple high profile VIP’s, and other celebrities. For the last 5 years he has designed, coordinated, and teaches at one of the largest sniper training events in the country. “Sniperfest” brings snipers together from all over the U.S. and provides teaching from some of the best instructors in the country as well. He also has an aerial platform instructor certification and is one of the first people to help bring the tactic to Arizona. 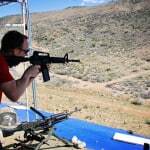 He is currently a precision rifle instructor for the NRA. Michael has also been a student and adjunct instructor for Rigo Durazo for over 5 years. Largest Machine Gun Shoot in the U.S.
A twice a year, three day weekend of friends, weapons, targets and gear in Arizona’s high, western desert. 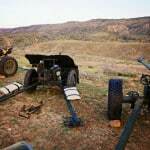 With a quarter mile long firing range, populated by hundreds of shooters, The Big Sandy is the largest machine-gun shoot in the United States. Held in Northwestern Arizona, approximately 10 miles northeast of the town Wikieup. Some targets fly the length of the range at high speeds, some explode. 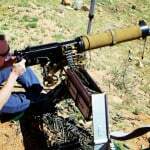 Students will enjoy a Spectators Pass to the Big Sandy Machine Gun Shoot. 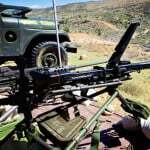 A spectator is one that does not own, or chose to bring, a machine gun- yet is interested in coming to see the event or in shooting various machine guns rented from MG shooters. Their machine gun shooters are not only collectors, but are also into the history. You will see things from the very old (Gatling gun) to the very newest (minigun). They can tell you not only the guns capacities, but in which wars and battles they were used. Fortunately for us, most enjoy talking about them. The SPECTATOR entrance fee (included) plus the price of the rental/ammo is all you need to rock and roll. 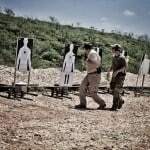 MG Shooter’s LLC will be the only unit renting weapons, in the rental position of the line. No user supplied ammo is permitted. All ammo will be provided by MG Shooter’s LLC. Food is available for purchase and all profits this year from food sales will be going to the 4-H Club in Kingman. Food will be on site from Friday breakfast, through Sunday breakfast. We suggest bringing snacks and water for during class, plus any food you may want during the evening if you are camping on site. Porta Potty’s are provided at the rear of the firing line, in the match area and in the spectator parking area. They are scheduled for cleaning every day.